When the ruthless corporation that runs Motor City begins kicking families out of their homes to clear space for a profitable new real estate project, Robocop (Robert John Burke, Copland) joins forces with a renegade band of freedom fighters to save them. But Robocop must face some deadly foes, including a lethally efficient android and a dangerous gang of thugs. Robocop's latest arsenal of high-tech weaponry only somewhat evens the battlefield as this one lone superhero takes on the entire army of corporate militia in an all-out war to control Detroit! 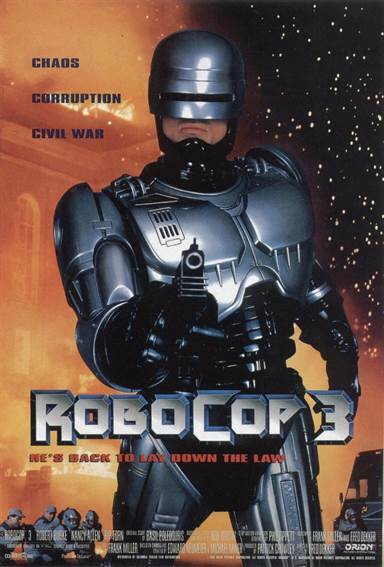 Download Robocop 3 in Digital HD from the iTunes store. Robocop 3 images are © Orion Pictures. All Rights Reserved.